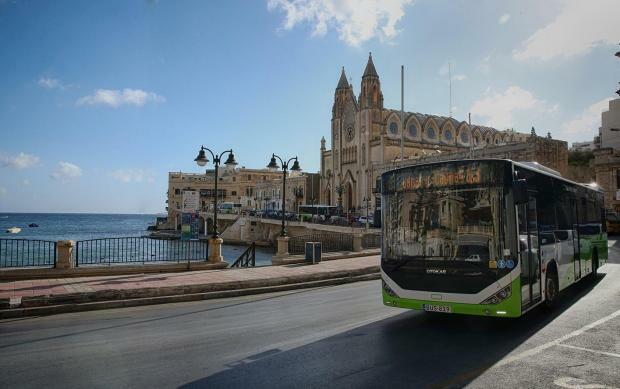 Two bus routes ferrying passengers between Valletta and St Julian's proved to be Malta's busiest in what proved to be a record-setting year for Malta Public Transport. Local buses carried 53.4 million passengers throughout last year, setting a new record, with an increase of 11.3 per cent over 2017, when the company carried 48 million passengers in a year. More than 3 million of those 53.4 million - well over 8,000 every day - hopped aboard route 13/13A buses, which take passengers between Valletta and St Julian's or Baħar iċ-Ċagħaq, passing through Gżira and Sliema as they make their way to their destinations. Routes serving Buġibba and Ċirkewwa also proved popular among bus commuters, with routes to Mater Dei and University of Malta bus stops carrying 13 per cent more passengers than the previous year. The busiest day was August 8, with over 186,000 passengers using buses. This was another record given that the highest amount of passengers that used the bus service in any day in 2017 was 164,000.